The Electric Co. segued into Beautiful Day, which Bono sang while embracing a young fan, ending with customary refrain of I Remember You by the Ramones - in the venue where the Ramones live set from 'Rock'n'Roll High School' was filmed. Elevation was played live for the first time since the close of the 360 tour in 2011 and while Bono suggested he wasn't certain if the band could remember how to play the next track, they didn't let us down with a beautiful, singalong Stuck In A Moment (That You Can't Get Out Of). 'Can't believe the news today...' A fired up classic original version of Sunday Bloody Sunday was dedicated to Dennis Sheehan who 'had the dignity that our music aspires to' before Out of Control, taking us all the way back to 1981 again, closed the main set. This is how Rolling Stone describe the close of the show. Tried to upload this photo before, hopefully it works this time. 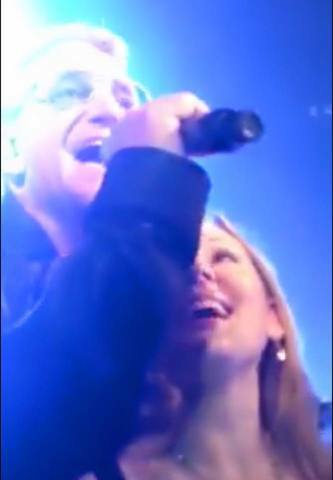 Its of Cassie, the girl Bono brought onstage and held in his arms during the song, Beautiful Day. 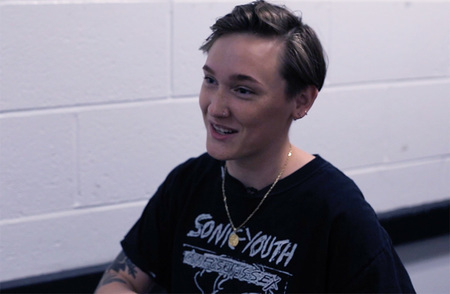 "Cassie" is the name of the young fan that Bono brought up on stage during "Beautiful Day"! She is my daughter-in-law and is not only beautiful on the outside but on the inside too. Her and my son have tickets to every U2 concert in California. They are true die-hard fans and for them to win tickets to the Roxy was a real dream come true!! 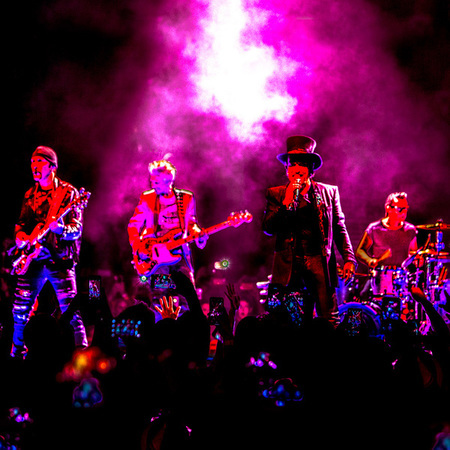 They are still in U2 heaven from that entire experience! 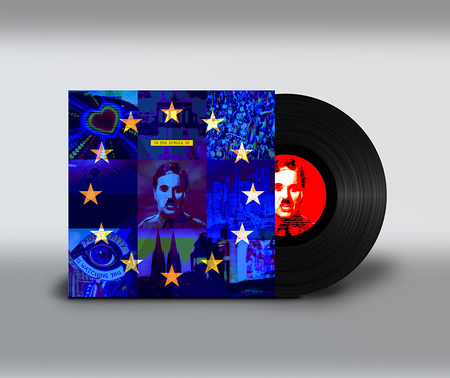 Looks great - the opening songs look like a 1981 gig. This would make a great DVD or subscribers special gift type thing. 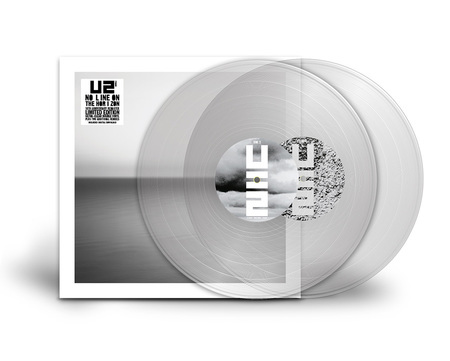 U2 - Rock&Roll Dreams Realized !!! 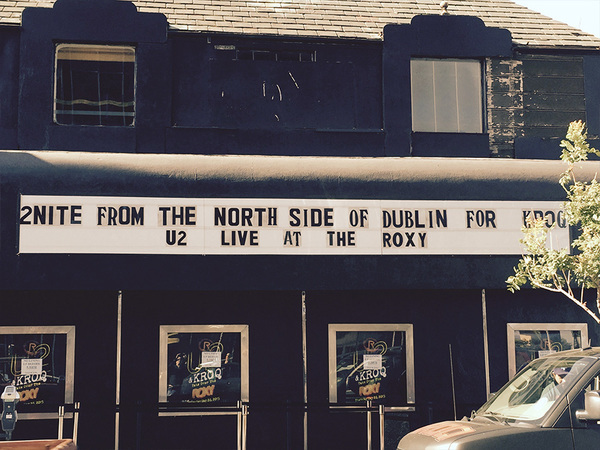 Having grown up around the Sunset Strip, and having U2 play the Roxy is a dream come true. Especially when they are playing music about things that inspired them at the start of their great music adventure. An adventure that we all share with them. In my early band days as kids, we went to see Led Zeppelin at the Forum. Now U2 is playing that venue, and the vision that Dennis Sheehan had really has come true. Thank you for Rock&Roll dreams realized !!! So reminiscent of their early days in places like Queens University in Belfast. Thanks U2.